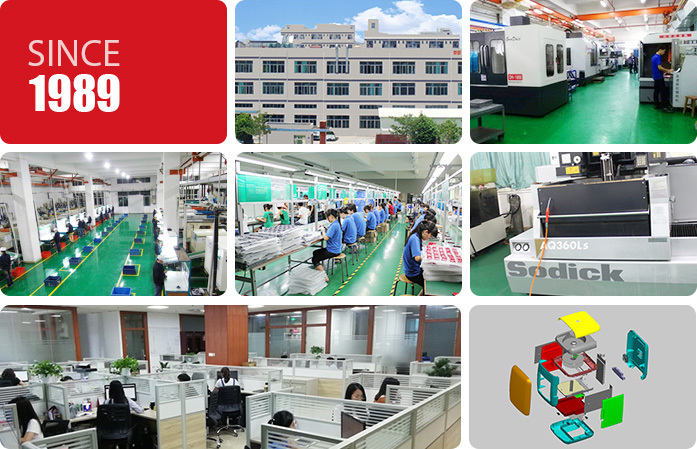 Kenvox is a comprehensive manufacturing enterprise group which fully owns 3 state-of-the-art factories and 1 joint-venture facility in mainland China. Kenvox has been maximizing value for our global customers since 1989, specializing in the design, development, and manufacturing of plastics, silicone, and metal molds as well as custom manufactured components. Our manufacturing scope ranges from small, single, high precision parts all the way to complex finished products including packaging and logistics solutions. 80% of deliverable products are for export across 50 different countries and regions. Kenvox has built strong capabilities by heavily investing resources on internal systems and equipment. Some examples of the system capabilities are a unique and exclusive ERP system custom tailored for Kenvox, top-tier CAD/CAM/CAE software for mold design, digitally controlled programming, and robust analytical tools to aid in the manufacturing process. Our equipment is highlighted with Mikron CNC, Sodick and Charmilles EDM, Sodick slow wire-cutting machines, Fanuc/Zhafir/Toyo high-speed injection machines (include Liquid Silicone Rubber and Solid Silicone Rubber), Thome and LK 3D CMM, and 10,000-class clean room. In accordance to our continuous goal of excellence, Kenvox proudly offers a wide array of secondary processes in-house. Automated Painting, Water Plating, Vacuum Plating, Laser Engraving, Ultrasonic Welding, Silk-Screen and Pad Printing, as well as complete sub-assembly lines are all offered within our process and quality control to create a truly seamless integration between primary and secondary processes. Kenvox adheres to a strict quality control management system and is currently ISO9001:2008, TS16949, ISO14001, and ISO13485 certified. Kenvox employs a very strong engineering core consisting of over 50 engineers with a wide range of background disciplines including mechanical, electronic, process, and many more. This allows Kenvox to continually strive for excellence, creating a greater value for our global customers. In recent years, Kenvox has also been building very close and strategic partnership with many other factories in China in various fields so as to provide customers the supply-chain integrity and one-stop turnkey solutions. Nowadays KENVOX has full capabilities with supporting customers to materialize their whole complex projects, from initial concept or rough sketch through to finished ideal products. By his first-class manufacturing facilities, strong engineering capability and reliable quality assurance system, Kenvox could be your most reliable one-stop CONTRACT MANUFACTURING PARTNER!